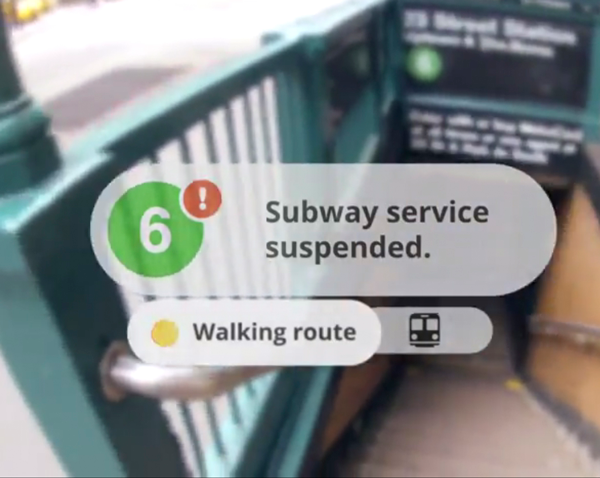 If you thought Google Glass was dead, you were wrong. Massimo Vian, CEO of Italian eyewear maker Luxottica, told shareholders it is working on a new version of the wearable. If you thought the poor reception for version 1.0 of Google Glass meant that internet-connected eyewear would never catch on, you are forgetting history. The tech era is littered with version 1.0 failures that were followed by enormous successes. The Apple MessagePad, a digital personal assistant launched on Apple's Newton platform, crashed and burned in 1998; nine years later, Apple released the first generation of the iPhone to great acclaim. Another example is the Tablet PC, which Microsoft launched in 2002 to meager adoption; eight years later the iPad would create a tablet revolution, and today the Surface is delivering its third straight quarter of profits for Microsoft. I remain convinced Google (or Apple or someone else) will eventually develop digital eyewear that will enjoy strong adoption. Right now, many people react with some level of revulsion and suspicion to Google Glass (which is why the term "glasshole" has entered our lexicon); however, I remember the reaction I got in 1987 when I showed off the graphics on my new Atari 1040 PC. Or 1995 when I tried to convince friends the Internet was going to change the world (while waiting for a page of text to load through my Prodigy dialup connection). Or 2003 when I pulled out my Palm Treo to access Wikipedia in order to end an argument with friends over which artist released a song. As an individual with a long history of early adoption or fast following, I can attest to the strong visceral negative reaction many have to evolutions in technology, and the initial backlash to Google Glass was no different. But if the past three decades teaches us anything, it is that humans find a way to overcome their doubts and rapidly embrace new technologies once they can see and understand the benefits. 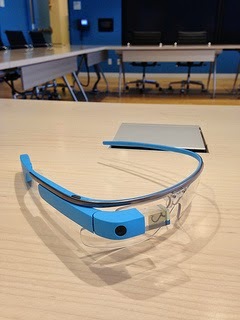 Who knows what connected eyewear experiences will knock down that wall of aversion that Google Glass still faces. Maybe you will be missing friends' conversations while trying to get a game update on your phone when the person next to you, who was an active part of the conversation, suddenly announces, "Hey, the Packers just won." Or maybe you will embarrass yourself at a crowded industry event by not remembering names, only to have the Google Glass-wearing woman next to you greet everyone on a first name basis. Or perhaps you will miss an emergency text from your children's school because your phone is off for an important meeting while the guy across the conference table gets vital updates without breaking eye contact. Just as people who once mocked PCs as expensive toys soon found a way to budget $1500 for a 486 PC or the folks who relentless ribbed their Crackberry friends stood in line for an iPhone, the people who today say they would not be caught dead wearing Google Glass will crack. It will happen as the hardware improves, as software evolves, as benefits become evident and as more people make the switch. It will not happen next year, but it will happen--and when it does, retail and product brands face a reckoning. One of the interesting effects of the march of technology from TVs to PCs to Internet to mobile to wearables is that each turn of the tech screw brings greater personalization and customization to our world. We used to watch the same three networks at exactly the same time; then we had greater access to the information we prefer via Internet-connected PCs; and today we use apps like Flipboard and Netflix to see just the news and entertainment we want to see. We moved from three networks to 1 billion websites and over 1 million apps, but today there remains one "channel" where we all see the same thing--the real world. Our interpretation may be different, but a walk down the aisle of Target looks the same to you as to me. Not only is the physical shopping experience the same for everyone, it also has changed little over time--while the brands, packaging and shopper marketing strategies have changed over the decades, the essential experience of shopping in the real world remains largely the same as decades ago. All of that changes once we adopt digital eyewear. Suddenly, the real world can be as unique and differentiated as our digital worlds. Google Glass or other high-tech eyewear will turn the sameness of the store aisle into a rich and informative view of the things that matter to you. If you think Amazon is a daunting competitor today, imagine what it could do in the future with digital eyewear. Amazon Eye (a not-yet-trademarked name I just invented) can instantaneously price every product you look at in the store aisle. Should you prefer the price you see on Amazon, simply say "Add to prime," and Amazon will have the product waiting for you by the time you get home, delivered via Amazon Now or Amazon Prime Air drone delivery. Connected eyewear will bring a new wave of showrooming, forcing bricks-and-mortar stores to find new and better ways to compete. 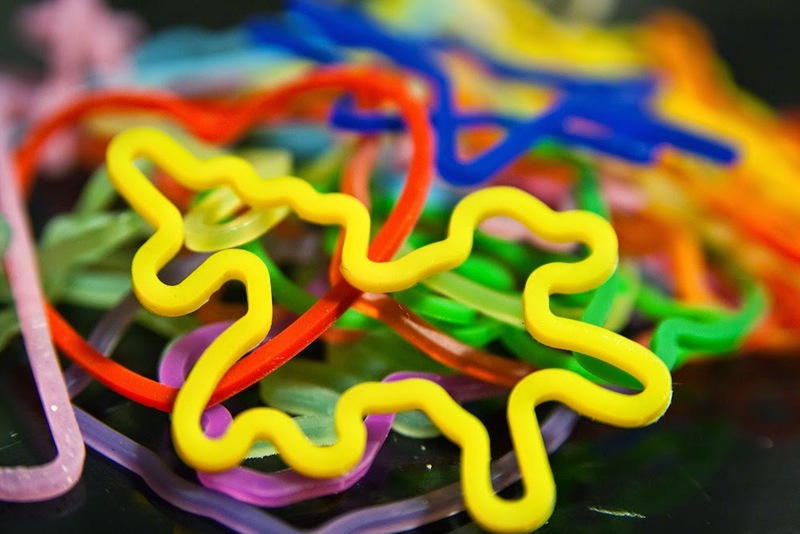 Let's not forget collaborative economy models in the era of connected eyewear. What happens when you look at a new lawnmower or four-person camping tent and your Google Glass points out you can rent them from a neighbor or friend for $6 a day rather than spend $199 to own the item? How will the availability of items to borrow or rent, made evident in real-time via Google Glass, alter the consideration and purchase of durable goods? Overnight, what brands print on their packaging and even what they say in their advertising will become less relevant. In the same way consumers have splintered their media consumption in the living room, so too will store aisles face the same splintering, thanks to Internet-connected eyewear that knows and reflects the unique preferences of each wearer. Is your brand prepared to compete for attention and preference on price, labor practices, sustainability policies, corporate accounting practices and quality--simultaneously? Of course not; no brand can be all things to all people. The future of digital eyewear means brands must focus Customer Experience efforts even more on the needs of unique audiences, being careful to set the right mix of price, purpose, quality and corporate behaviors that appeal to sufficient numbers of consumers. We talk a lot about digital disruption nowadays, and many companies have gained some comfort in their ability to innovate, adapt and evolve, but we should not forget that wearables, the Internet of Things and collaborative consumption will bring a new wave of disruption in the next fifteen years. The way consumers become aware of, consider and purchase brands will be as different in 2030 as today's customer purchase journeys are different from 2000. In fact, as the pace of change is always increasing, the evolutions will be even greater in the next fifteen years than the past fifteen. Mock Google Glass 2.0 and those who wear them all you want, but someday soon wearables will bring to the physical world the same instant, proactive, personalized access to information and functionality that we have come to expect on our phones, tablets and PCs. The term Glasshole will soon seem as quaint and dated as the word Crackberry, and the people and brands who see the Google Glass half empty will be left behind to those that prepare for a world Glass-ful. We have all seen statements such as "Uber is worth four times more than Hertz, and it doesn't own a single car." While there is a kernel of truth to this statement--Uber's latest round valued the company at $40B while Hertz's current market capitalization is $10B--the difference between startup valuations (so-called "unicorns" with valuations of $1 billion or more) and publicly held companies' market capitalization is so profound that the two are hardly comparable. Understanding the distinction is vital if we want to cut through hype, understand risk and assess the market changes underway. To be clear, I am a big fan of digital, mobile, Internet of Things (IoT), big data and collaborative economy opportunities, and I believe they will continue to grow and challenge traditional forms of business. That does not mean, however, that I believe every startup will win or that VC valuation decisions are a valid yardstick for comparing financial worth between VC-funded firms and public corporations. While the hype around new these nascent businesses can benefit established firms by forcing them to take notice, it can also hurt by setting unrealistic expectations. Back in the dot-com era, established companies were spooked by all the e-commerce hype and leapt without considering the hard work and long road ahead. In the late 90s, the buzz about Silicon Valley valuations and the focus on gaining new users rather than revenue models created an environment for silly decisions. Acting fast was more important than devising the right strategy; having a website was the goal rather than retooling the organization for a digital world; and patience was in short supply. When companies' new ecommerce programs did not instantly deliver profits, many companies diminished investment in digital efforts, only to reinvest years later to match growing consumer demands and competitive threats. Some firms even opted out of the ecommerce race altogether--Borders sealed its fate when the company got frustrated with dot-com losses and turned over its soon-to-be-vital online business to Amazon. Valuation hype encourages short-term rather than strategic thinking. How can it not as headlines continue to trumpet Uber's rise from $60 million in 2011 to $300 million later in 2011 to $3.5 billion in 2013 to $17 billion early in 2014 to $41 billion before the end of 2014? That means from February 2011 to December 2014, Uber increased its valuation by almost $30 million per day. There's gold in them thar hills, and just like every other gold rush, there will be more losers than winners. This is why a more sober view of IoT, big data, mobile and sharing economy opportunities would be beneficial. Established companies need to be less impressed with billion-dollar valuations and more concerned with consumers' changing habits around media consumption, mobile adoption, wearables and collaborative consumption. While Uber's, Slack's, Snapchat's and Sprinklr's $1 billion+ valuations make it seem the brass ring can be snagged on the next turn of the merry-go-round, the fact is that real, defensible, consistent success will require years of hard work for these companies--and yours. Both startup valuations and publicly held companies' market capitalizations begin with a dollar sign. Beyond that, the two have little in common. Market cap is set by millions of investors buying and selling shares in an open market based on information the company publishes adhering to stringent SEC rules that ensure a fair marketplace. You can find a company's market cap on any finance site (Apple's is $740 billion), or you may easily compute it yourself using public data (Apple's share price of $127.10 multiplied by its 5.82 billion shares outstanding). Startup valuations are set by a much different process--secret backroom deals between a very small number of parties. The company and its VC partners do not make their negotiations, financial information or terms of the deal public. In fact, even the valuations themselves are not really part of public record but instead are announced (or not) by the parties involved. Value determination: Market caps are set by a vigorous marketplace that is as close to an economically "perfect market" as exists on the planet. On an average day, investors buy and sell 48.5 million shares of Apple stock, and this is the mechanism that determines the corporation's value (or market cap). Startup valuations are set behind closed doors based on the evaluations of a small number of deep-pocket venture capitalists, and unlike liquid shares of stock, once the funding round is complete, startup investors have limited and complicated ways in which to divest themselves of their investment. Available information: You and I may come to a different decision as to the future opportunities for a publicly held corporation, but by law, we both must have access to the same information disseminated by the company. Thanks to SEC filings and annual reports, we can see the same detailed information about company performance, from revenue to profit/loss and even management's assessment of potential risks. For example, in Facebook's recent 10-K filing, it acknowledges, "We believe that some of our users, particularly our younger users, are aware of and actively engaging with other products and services similar to, or as a substitute for, Facebook." Compare that to what we know of Airbnb's and Uber's performance, growth, risks and management assessment (which is, essentially, nothing). Performance history: Another obvious difference is that publicly held companies generally have well-established business models that demonstrate a track record. By comparison, the business models of startups are new, untested and evolving rapidly. We know Uber for its ride-sharing service, but the company is also testing new ideas like UberRush, a package delivery service, and UberFresh, a Seamless competitor for food delivery. Whether these two services catch on and produce profits is uncertain, but it is apparent Uber is still figuring out its business model. Known versus unknown risks: Along with more performance history comes a strong sense of the known risks faced by publicly held companies. While established companies face new laws and lawsuits every day, leaders and shareholders understand the type of legal risks the company faces. In comparison, the risks inherent with startups like Uber and Airbnb are poorly understood and rapidly developing. From labor laws to legal liability to taxation to compliance with state and local regulation, the future profitability and growth of these startups is less certain due to the unknown risks. The mechanisms, information, marketplace and bargaining power of parties is profoundly different for the funding rounds that determine startup valuations than for the stock market that determines corporations' market caps, but it all comes down to one thing: Risk. Headlines about startup valuations promote just one concept--value--while ignoring the other equally important attribute that drives all investing and pricing decisions--risk. To simply compare the (supposed) value of two wildly different organizations (or any dissimilar assets) without also considering questions of risk makes the two dollar amounts seem equivalent, but they are far from it. To draw an analogy from the world of football, the average screen pass earns a little over 5 yards per attempt while a "bomb" pass attempt delivers an average 12-yard gain. Given this data point, why do teams ever run or throw for short yardage when each deep pass averages a first down? The answer, of course, is risk--a long pass is a low percentage play, so even though the average completion delivers over 50 yards for the offense, fewer than one in four passes of 40 yards or more are completed. By comparison, the completion rate for screen passes is 79%. Football coaches do not assess the relative value of one play over another based solely on average yardage. This is why teams tend to stick to higher percentage and safer short plays most of the time, turning to the more risky, lower-percentage plays when they trail late in the game. In the same way, venture capital firms are in the business of making lower-percentage, high-risk investments with the hope that, across a wide portfolio of similar long-shot investments, a few will pay off handsomely, even though most will fail. In fact, just like deep passes in football, three out of four startups fail. Meanwhile, like a screen pass, an investment in a NYSE listed stock may not yield spectacular gains, but it is not likely to fail outright, either. In times when money is cheap, a great deal of cash gets invested into innovative startups, elevating valuations and making headlines. Once money gets tighter, as it inevitably does, many of those startups suffer. We saw this back in the dot-com era, when firms like Webvan were briefly valued at over $1 billion--what we today label a "unicorn"--before going under within a year. They were hardly alone--Pets.com made a splashy IPO in 1999 and liquidated just 268 days later, and eighteen months after eToys was valued at more than $8 billion, KB Toys bought its intellectual assets for just $3.4 million. Even the companies we know today as successes took an enormous hit when the dot-com bubble burst--Amazon lost more than 80% of its market cap from 1999 to 2001 and required six more years to return to its pre-crash value. Today, cheap money is again flowing into startups. Business Insides notes that, "The use of the term 'unicorn' began with a blog from investor Aileen Lee of Cowboy Ventures in late 2013, when there were just 39 of the creatures and an average of four 'born' each year. The number created in 2014 rose to 38, according to CB Ventures." Some say today's VC investments are different from those during the dot-com hysteria; that today's valuations are more justified and less risky. There may be some evidence they are correct. Collaborative startups such as Uber and Airbnb have business models (and probably even net income) in a way that many of the startups in 1999 did not. Still, other unicorns have a long way to go--Snapchat's last funding round valued the company at $15 billion (a 50% increase from nine months earlier) despite the fact the company was rumored to have virtually no revenue (much less profit) prior to launching its untested advertising program this year. While established firms worry about competition from the startups, the startups themselves also have some unique competitive threats. Many folks who watch the collaborative economy space love to crow how the collaborative economy firms have established huge valuations despite owning virtually no assets. They are correct--Airbnb owns no rooms yet soon will rent more rooms than the world's largest hotel chains, and Uber owns no cars and is about to overtake taxis, limos and airport shuttles in the expense accounts of American business travelers--but this may be as much a problem as a benefit. Owning few assets allows for incredible leverage of cash, but it also means that barriers to entry and customer switching costs are incredibly low, as well. Airbnb and Uber excel at providing a terrific customer experience, so neither is in imminent danger from competitors, but we should not forget that Myspace was once praised in the same way as today's collaborative startups. Insiders used to point out Myspace created and paid for no media, unlike the NY Times or NBC. Just like today's collaborative startups, Myspace enjoyed extreme leverage on its assets because consumers created content for each other at no cost to Myspace, and just like today's startups, Myspace owned nothing and had low barriers to entry, so it could not stem the loss of users once Facebook attracted critical mass. It is hard to imagine the same thing happening to Airbnb or Uber, but then it was impossible to foresee that Myspace would crash when, in 2006, it surpassed Google as the most visited website in the United States. In fact, compared to the challenges of creating a profile and moving your entire social graph from Myspace to Facebook, the ease of installing a new app on your phone to order a car or reserve a room seems like child's play. So what is ahead for these startups? Silicon Valley analysts are voicing concern, and we have already seen some newer firms stumble. As recently as 2013, Fab was valued at nearly $1 billion, but in March, the remains of Fab were acquired for just $15 million. Meanwhile, I have been tracking the performance of a dozen US social media stocks that are post-IPO, and in 2014 they under-performed the market. Thus far in 2015, that trend has continued--NASDAQ is up 5.7% as of April 11 while a portfolio of social stocks (including Facebook, Twitter, Marketo, Jive, LinkedIn, Zynga, HomeAway and Groupon) is up just 0.5%. We would all be better off if we viewed billion-dollar valuations not as accomplishments but as challenges. Having a VC with an appetite for high risk assess your company at $1 billion is one thing, but it is quite another to reach a future state where that valuation is justified in a transparent and open market based on mature and recurring profitability. Today, growth, opportunity, optimism and high risk propensity are driving startups' valuations, but in a few years--after the VCs claim their return and the firms go public--these companies' values will be determined more by stable business models as measured by revenue and net income. For Uber to justify its $40B valuation, it must someday deliver a stable or growing bottom line of between $1 billion and $2 billion. If we all kept startup valuations in the right perspective, it would help us to appreciate the hard work ahead, both for firms like Uber and Airbnb, but also for our own companies. Ecommerce hype elevated startup values in the dot-com era and caused many companies to act out of panic, yet it has taken 15 long years for ecommerce to account for just 7% of total US retail sales. Just as Kodak, Borders, Circuit City and others lost out by not acting quickly enough, your firm needs to establish its strategy in mobile, IoT, big data and collaborative economy business models sooner rather than later. But be careful not to buy into the hype so much that you think acting fast will deliver rapid bottom-line results. The future is here, but it will not drive your business results for many years. Even before SXSW, you could tell which new app would be heralded as the "hot new thing" at this year's conference. Meerkat launched at exactly the right time (March) and had exactly the right appeal ("I'm doing something interesting right now that you must see!") to create a wave of rapid adoption in Austin, but whether the live-streaming video service can convert that buzz into real-world success is far from certain. A careful evaluation of the opportunities and challenges faced by Meerkat and other real-time video broadcasting services, including Twitter's Periscope, suggests a rockier future than many are predicting. As has happened for most "hot apps" to rise out of SXSW over the past decade (see Quora, Google+, Foursquare, Hashable, GroupMe, Beluga, Sonar, Highlight, etc. ), many bloggers have been (too) quick to announce the many ways Meerkat and Periscope are destined to change marketing, social media and the world. As someone who has worked in digital innovation for 20 years, it is exhausting to see how quickly people jump from one new bandwagon to the next, desperate to be the first to anoint each the "next big thing"--a habit that says much more about their need for attention than it does about the technology. Even in the midst of SXSW, when the buzz was white hot and Meerkat was ranked near the top 100 iOS apps, I had serious doubts about its future. I expressed them on Twitter and found myself in an argument with a couple of early Meerkatters who clearly thought they were destined become the PewDiePie of this new platform. That dialog hardly encouraged me to change my opinion. It came as no surprise to learn that Meerkat is already sinking precipitously. On Sunday, Meerkat had dropped to #523 on the US iPhone download chart; two days later it had fallen even further, down to 669th on the US chart. It seems the app that rapidly came out of nowhere is returning there just as quickly. Meerkat is built on someone else's platform (or at least it was): We have seen this problem since the early days of Windows, when eager young developers created new applications, only to see Microsoft adopt the same functionality into its Windows OS. More recently, Zynga rocketed to success and then stumbled when Facebook changed its rules to discourage the flurry of annoying posts from friends wanting everyone to become virtual farmers. (As a result, Zynga lost 70% of its value since its 2011 IPO and continues to battle lawsuits from shareholders who claim they were misled.) And it happened again two weeks ago, when Twitter changed Meerkat's access to the Twitter's API. Meerkat cannot survive or thrive without Twitter, and Twitter does not want to support a product competitive with its own Periscope application, so inevitably Meerkat will lose. Building a business model on someone else's platform will always remain a risky proposition. We're not all broadcasters: One mistake that social media pros and influencers have made time (Quora) after time (G+) is that they evaluate new social platforms based on their habits and preferences rather than others'. In 2011, as social media "experts" abandoned their Facebook accounts and declared Google+ a "Facebook killer," the rest of the world shrugged and continued using the platform that already contained all of their friends and family. Normal people (i.e., those who do not know their Klout score) cannot pull their "audience" with them from one platform to another, nor do they have a burning need to broadcast their lives to the world as do digital influencers. This last point is key to explaining why digital insiders are wrong so often about new social and communications services--the vast majority of the world does not share influencers' insatiable need to transmit every thought and experience. 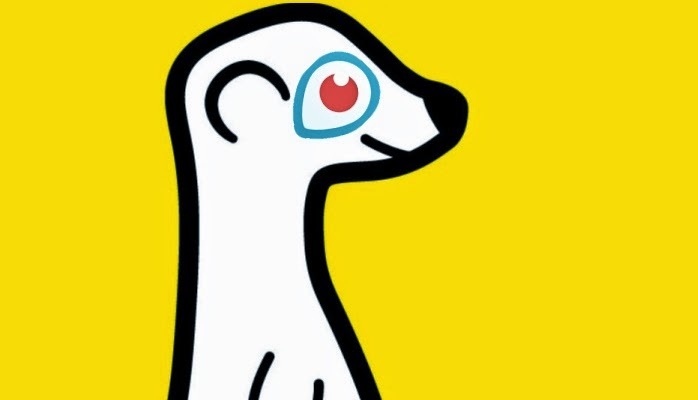 Meerkat was perfectly suited to appeal to mass influencers while leaving others puzzled about all the fuss. SXSW isn't the real world: There is a good reason each year's "hot new SXSW" app tends to fade from view--SXSW is not the real world. Since Twitter rose out of SXSW in 2007, I cannot think of another app that used SXSW as a launching pad to the mainstream. Foursquare came closest, but today it is seeing declining usage and little buzz. Other apps like Groupme, Sonar and Hashable were all the rage in Austin for a couple of weeks but never caught on outside of the SXSW bubble. There is a lesson here for evaluating SXSW buzz: The needs of the world's most digitally connected people while attending the world's most digitally connected event are simply not a good proxy for the needs of people who have busy lives, job stresses, family demands and are mostly overwhelmed with their existing digital communication channels and apps. Streaming video isn't new and isn't growing rapidly: I cannot imagine how all the excitement over Meerkat and Periscope must look to the folks who developed platforms such as Qik, Livestream, Justin.tv and a dozen other live-streaming platforms that have been around for years. Sure, the new live-streaming apps offer great social features and terrific user interfaces, but apps with similar capabilities have long been available. Of course, you could argue the same about Facebook, which was preceded by SixDegrees, Friendster and Myspace, but the difference in that case was that each successive social network was more popular than the last. This is not the case with live-streaming video apps, which are not seeing any sort of profound growth or success. After a rapid start, Qik faded and was eventually acquired and shuttered by Skype, while Justin.tv eventually shifted out of broadcasting the real world and into the more interesting business of broadcasting gameplay via Twitch. The world has already voted, and people prefer pre-recorded video to live: One filter I use to evaluate new technology is how well it fits into existing models of human behavior. In the case of Meerkat and Periscope, one only needs to look at the early days of television, when all video was live, and compare it to the prerecorded network programming of today. The problem is that live TV is generally not polished, well paced or exciting; Jon Stewart may make moments in Congress look funny, but have you ever tried to watch C-SPAN live? The same is true outside of TV--consumers can watch live concerts by artists on Concert Window, but they still opt to stream the slick music videos on YouTube and Vimeo in much higher numbers. And Fathom Events beam live performances from The Met to theaters around the country, but far more people show up for the latest over-produced but disappointing Adam Sandler film. The entertainment industry long ago shifted out of live broadcasting and into prerecorded, edited, post-produced video that corrects the problems of live performance. "Live" video brings no additional value over pre-recorded video outside of very specific use cases. Live TV is today reserved for special situations like American Idol (real-time voting), news and sporting events (real-time occurrences with broad appeal) and the rare stunt programming (real-time risk that Allison Williams' Peter Pan may trip over a prop on live TV.) If Hollywood cannot find a way to make live video appealing outside of select use cases, what does this say about the experiences you and I might broadcast? How many opportunities will you have to share urgent, timely, in-demand content? Will that beautiful sunrise or your dog's amazing tricks really be of interest to people in real time? Is posting a video to Instagram of something that occurred in the ancient era of two minutes ago really going to degrade the viewer experience? The reality is that outside of some select use cases, such as newsworthy events (the tragic explosion in NYC) and entertainment (Jimmy Fallon broadcasting a rehearsal), most of us have precious little reason to use Meerkat and Periscope to broadcast anything to others in real time. Most brands will be too risk-averse to adopt live video: While many agency bloggers are predicting (and hoping) marketers will adopt Meerkat and Periscope in large numbers (and pay agencies to develop the live content), I struggle to see how most brand brands will accept the risk of raw live video. Even in the age of Facebook and Twitter, marketers still maintain tight control over the planning and vetting of content, and in those rare situations when brands staff "newsrooms" for real-time marketing, compliance and legal personnel are on hand to approve every word and image. 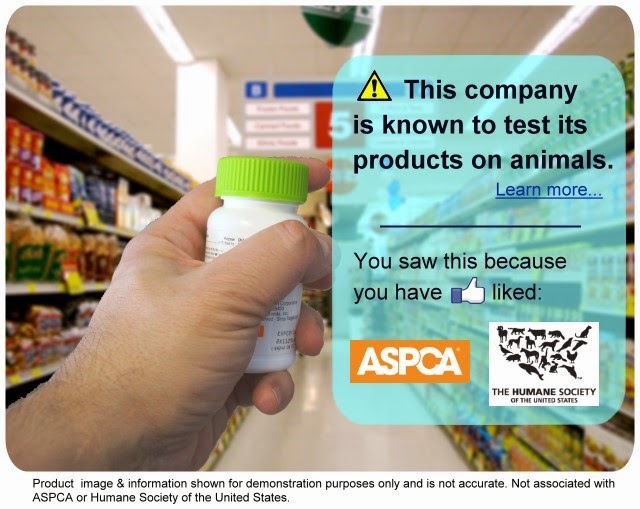 You think brands are now going to point a camera live at an event or person and trust everything that happens will be appropriate, on-message, legal and compliant? All it takes is one person wearing a branded T-shirt, dropping an F-bomb or having difficulties with the product on a live video, and someone's head will be on a platter. Few brands will have anything to share that people will need to see in real-time: Finally, even if brands can overcome the various practical and legal challenges associated with live video, will they have anything worthwhile to say in real-time? Today, organic reach for brand content is falling, with brand posts disappearing from Facebook news feeds and being ignored on Twitter. If most brands cannot find a way to be interesting with the luxury of time, what would they stream that might demand consumers drop everything right now to watch it live? Video is powerful, but between Instagram, YouTube, Vine and other platforms, are brands really lacking for ways to share video? To be fair, I anticipate Periscope will see reasonable adoption and some exciting uses for very specific purposes, but I do not anticipate broad adoption for this or other live broadcasting platforms. Before we buy into yet another round of hot-new-thing-forever-changing-communication-and-marketing hype, I suggest we step back, assess the needs and wants of real people, consider which brands have opportunities and which do not and ensure we do not invest limited time and budget in yet another digital boondoggle.